In December, we were Central League matches 1 & 2, where we were ranked first in our league and fifth in all Washington State! In January, we competed in the East District Qualifier where we were thrilled to win the Inspire Award. 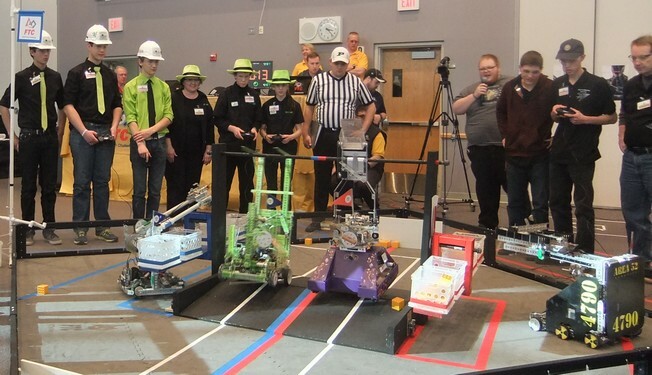 Unfortuately, our robot had major mechanical difficulties at the State Championships. But it was fun to see all the teams competing. In February, we competed at the Nevada State Championships. Duncan and Helen were our drive team and they did great. We ended up as an alliance captain, but then had mechanical difficulties in the elimination rounds. This page contains a single entry by Christine published on June 20, 2014 7:03 AM. 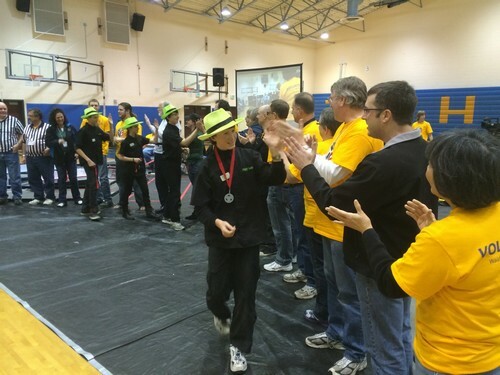 FLL Event 2013 was the previous entry in this blog. Kick-Off 2014 is the next entry in this blog.